Cyclone Kleen Up has years of experience in providing large scale, multiple commercial property drying and reconstruction, working with both property owners and insurance companies. Most restoration contractors are not prepared – with training or equipment – to deal with large scale, severe weather damage. That's why Cyclone Kleen Up maintains a separate division for this type of mitigation and reconstruction. Cyclone Kleen Up does not have to depend on third-party vendors to obtain the necessary equipment to meet your immediate needs. First response time is critical during the initial mitigation phase of your emergency. Cyclone Kleen Up can deliver all the equipment you need, when you need it, wherever you need it. This equipment availability will prevent costly logistical delays and additional unnecessary cost increases that will be incurred if your restoration contractor does not own the appropriate equipment. Most operations of this type will involve the Cyclone Kleen Up mobile command vehicle, an office on wheels, equipped with the latest satellite communication equipment. Other Cyclone Kleen Up vehicles deployed include our company owned fleet of semi-tractor trailers, all equipped with generators, drying equipment and the latest mitigation equipment. The Cyclone Kleen Up fleet of professional CDL drivers and certified technicians are on call 24 hours a day to respond to your specific disaster needs. If you need disaster restoration services in Colorado Springs, CO, contact us at 719-299-3887. 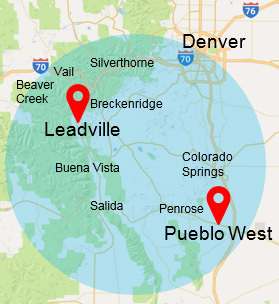 We offer 24/7 emergency water damage and fire damage clean up for homes and offices in Colorado.